Make a gallery of your home or office with this The Mighty Thor Wood Wall Sign. 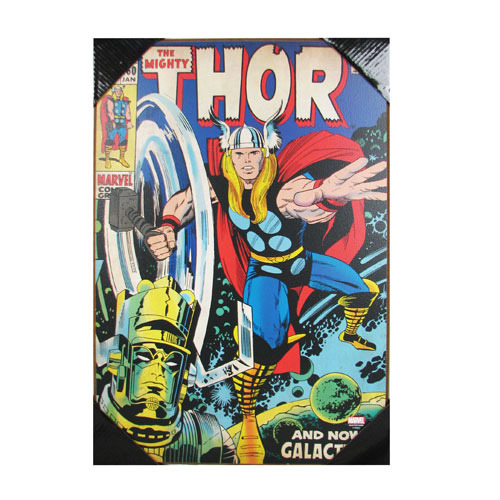 Featuring the cover to The Mighty Thor #160, where the thunder god faces off against Galactus, this wood print measures 19-inches tall x 13-inches wide. Display this classic Thor Odinson comic moment for all the world to see! Ages 12 and up.